Master of Science in Engineering, engineer on Computing and Systems Science. Lebanon, Beirut, Sed El Baouchrie, Ferdaous Str., Korlokian Bld. Expert Sworn Computer Engineer in Lebanon. Website Design - 5 Web Pages, Home Page & 4 Secondary Pages. Read Bible with more then 20 Languages and Forms. 38 Training Courses store 38 applications and the corresponding HTML training courses. These application developed with Visual Studio 6, Visual Studio .Net, Delphi 8, JBuilderX and other languages. Teach yourself - 38 Software Programming Training Courses = 114 Hours, on CD-Rom. 3. 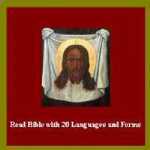 CD-Rom, Read Bible with more then 20 Languages and Forms. 15 applications developed with Visual Basic .Net, Visual C# .Net, Visual J# .Net & Visual C++ .Net and the 15 corresponding training courses. Teach yourself step-by-step how to write Microsoft Visual Basic .Net, Visual C# .Net, Visual J# .Net and Visual C++ .Net applications, on CD-Rom. Practical course describes step-by-step how to write complex Microsoft Visual Basic .Net application with Sql and the development application (software codes). Seven practical courses corresponding to seven applications developed with Microsoft Visual Basic .Net describe step-by-step how to write it and the development applications (software codes). Three practical courses corresponding to three applications developed with Microsoft Visual C# .Net describe step-by-step how to write it and the development applications (software codes). Three practical courses corresponding to three applications developed with Microsoft Visual J# .Net describe step-by-step how to write it and the development applications (software codes). Teach yourself step-by-step how to write a Microsoft Visual Basic 6, Visual J# 6 and Access applications, on CD-Rom. Practical course describes step-by-step how to write Microsoft Visual Basic 6 application and the development application (software codes). Practical course describes step-by-step how to write Microsoft Visual J++ 6 application and the development application (software codes). Practical course describes step-by-step how to write Microsoft Access 97 application and the development application (software codes). Practical course describes step-by-step how to write Microsoft Access 2002 application and the development application (software codes). Teach yourself step-by-step how to write a Microsoft Visual C++ 6 application, on CD-Rom. Eighteen applications (software codes) developed with Visual C++ 6.0, divided into 5 categories: communication, database, paint, animation and sheet-pages task, and used 4 datasource types : Visual Foxpro (.dbc) file, Access (.mdb) file, (.ini) file and (.txt) file. Three big applications (software codes) developed with Visual Basic 6.0, divided into 3 categories: accounting/stock, Media viewer and communication, and used 4 datasource types : Visual Foxpro (.dbc) file, Access (.mdb) file, (.ini) file and (.txt) file.